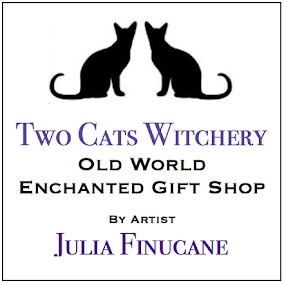 Two Cats Witchery Handmade Chakra and meditation supplies (powders, salts, crystals, and more) are hand crafted using only the finest ingredients in accordance with each color theory, symbol, and spiritual property. Used in many cultures and spiritual paths for your personal rituals energy work, aura cleansing, and color healing. Perfect to mediate with or when doing yoga. Use when you need an energy or chakra balance, when you are in need of grounding, centering, or energy healing. Use in your beauty or bath routine. All products are tools to use; the ritual, outcome, and intent is up to you. *If have sensitive skin, please test first. If allergic reaction happens, stop use and consult a doctor. The Crown Chakra is known in many spiritual and new age paths to represent our ability to be fully connected spiritually and with the higher realms. It is located at the top of the head. Dab this powder on the Crown Chakra during meditation, yoga, when aura cleansing, etc. Crown Chakra symbolizes inner and outer beauty, connection to spirituality, understanding, knowing, God, and pure bliss. The Third Eye Chakra is known in many spiritual and new age paths to represent our ability to focus on and see the big picture. It is located on the forehead between the eyes. Dab this powder on the Third Eye Chakra during meditation, yoga, when aura cleansing, etc. Third Eye Chakra symbolizes intuition, imagination, wisdom, and the ability to think and make decisions. Relates to clairvoyance, psychic abilities, imagination, and dreaming. The Throat Chakra is known in many spiritual and new age paths to effect our ability to communicate. It is located at the throat. Dab this powder on the Throat Chakra during meditation, yoga, when aura cleansing, etc. Throat Chakra symbolizes communication, creativity, self-expression of feelings, and the truth. Blockage equals not communicating your emotions. The Heart Chakra is known in many spiritual and new age paths to effect our ability to love. It is located at the center of chest just above the heart. Dab this powder on the Heart Chakra during meditation, yoga, when aura cleansing, etc. Heart Chakra symbolize love, joy, and inner peace. Blockage can equal heart problems, immune system problems, and lack of compassion. The Solar Plexus Chakra is known in many spiritual and new age paths to represent our ability to be confident and in-control of our lives. It is located at the upper abdomen. Dab this powder on the Solar Plexus Chakra during meditation, yoga, when aura cleansing, etc. Solar Plexus Chakra symbolizes self-worth, self-confidence, and self-esteem. Blockage equals anger or a sense of victimization. The Sacral Chakra is known in many spiritual and new age paths to represent our connection and ability to accept others and new experiences. It is located at the lower abdomen. Dab this powder on the Sacral Chakra during meditation, yoga, when aura cleansing, etc. Sacral Chakra symbolizes our sense of abundance, well-being, pleasure, sexuality, and reproductive capacity. Blockage equals emotional problems or sexual guilt. The Root Chakra is known in many spiritual and new age paths to represent our foundation and to help with the feeling of being grounded. It is located at the base of our spine. Dab this powder on the Root Chakra during meditation, yoga, when aura cleansing, etc. Root Chakra symbolizes earth, survival, and grounding. Grounds us to the physical world. The Root Chakra is known in many spiritual and new age paths to represent our foundation and to help with the feeling of being grounded. It is located at the base of our spine. Use this salt on the Root Chakra during meditation, yoga, when aura cleansing, in a bath, etc. Root Chakra symbolizes earth, survival, and grounding. Grounds us to the physical world. The Sacral Chakra is known in many spiritual and new age paths to represent our connection and ability to accept others and new experiences. It is located at the lower abdomen. Use this salt on the Sacral Chakra during meditation, yoga, when aura cleansing, in a bath, etc. Sacral Chakra symbolizes our sense of abundance, well-being, pleasure, sexuality, and reproductive capacity. Blockage equals emotional problems or sexual guilt. The Solar Plexus Chakra is known in many spiritual and new age paths to represent our ability to be confident and in-control of our lives. It is located at the upper abdomen. Use this salt on the Solar Plexus Chakra during meditation, yoga, when aura cleansing, in a bath, etc. Solar Plexus Chakra symbolizes self-worth, self-confidence, and self-esteem. Blockage equals anger or a sense of victimization. The Heart Chakra is known in many spiritual and new age paths to effect our ability to love. It is located at the center of chest just above the heart. Use this salt on the Heart Chakra during meditation, yoga, when aura cleansing, etc. Heart Chakra symbolize love, joy, and inner peace. Blockage can equal heart problems, immune system problems, and lack of compassion. The Throat Chakra is known in many spiritual and new age paths to effect our ability to communicate. It is located at the throat. Use this salt on the Throat Chakra during meditation, yoga, when aura cleansing, etc. Throat Chakra symbolizes communication, creativity, self-expression of feelings, and the truth. Blockage equals not communicating your emotions. The Third Eye Chakra is known in many spiritual and new age paths to represent our ability to focus on and see the big picture. It is located on the forehead between the eyes. Use this salt on the Third Eye Chakra during meditation, yoga, when aura cleansing, etc. Third Eye Chakra symbolizes intuition, imagination, wisdom, and the ability to think and make decisions. Relates to clairvoyance, psychic abilities, imagination, and dreaming. The Crown Chakra is known in many spiritual and new age paths to represent our ability to be fully connected spiritually and with the higher realms. It is located at the top of the head. Use this salt on the Crown Chakra during meditation, yoga, when aura cleansing, etc. Crown Chakra symbolizes inner and outer beauty, connection to spirituality, understanding, knowing, God, and pure bliss. *If have sensitive skin, please test first.